Search for Sanctuary is an intimate portrait of one Eritrean community living in limbo in Ethiopia. The aim was to construct a photographic project that measured beyond their status as refugees and focused on them as individuals, to merely use the label of refugee as a smoke screen in order to show the community, their interactions, and the efforts taken by parents to provide the best possible environment for their children. 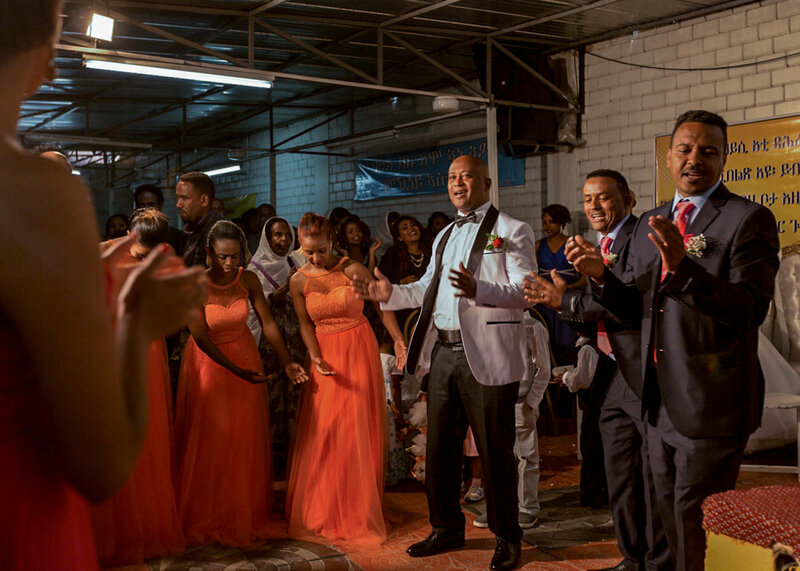 The place of sanctuary, a look into the main building of the community living on the outskirts of Addis Abba. It is being used as an afternoon music lesson for the younger children. This photograph was taken from outside through some barbed wire put up to protect the community from xenophobic attacks. Fear of the other is deep rooted in Ethiopia. I wanted to look past the initial images that we have come to associate with the refugee crises, those that focus on people as refugees and the sheer numbers involved. I wanted to understand one displaced community in a part of the world, forgotten by the rest, and to capture photographs not of refugees but of a community. A community is not given; it is an achievement, it is a universal need of the human experience, to belong with others. This is a story worth telling. 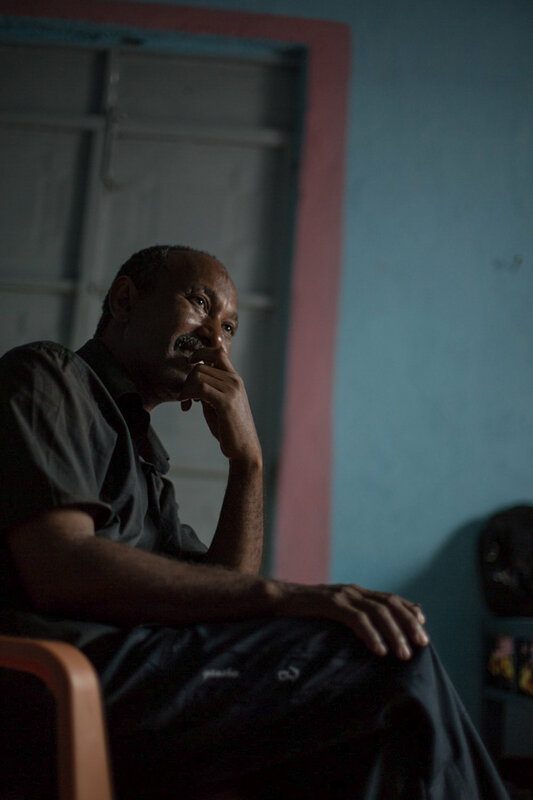 Eritrean refugees are treated as second-class citizens in Ethiopia, they face discrimination and are not allowed to work. This environment pushes many towards the deadly journey up South Sudan, through Libya and across the Mediterranean Sea for the dream of Europe. If we are to find a long-term, viable solution to the global refugee crisis more attention and resources need to be concentrated on countries outside of Europe at the starting points of mass displacement. The portraiture of the children was shoot in the building. It was designed around masks and art. A mask removes individuality; the plain mask represents the stereotypical, impersonal images produced en masse of refugees. The children created their own photograph, decorating over the plain white masks with complete freedom, adding personalisation to each image, and this allowed space for greater self-representation. The interactive nature of the portraiture allowed for the process of documentation to be slowed down. It also simply made sitting in front of a large camera less intimidating and more fun. In turn I find this little things help to reduce the emotional barrier that exists between the photographer and the subject. This then allows for a more honest and trusted image. The children’s characters are pushed closer to the fore. I find their eyes define many of portraits, a glimpse of their personalities and also some of pain hidden underneath the surface.